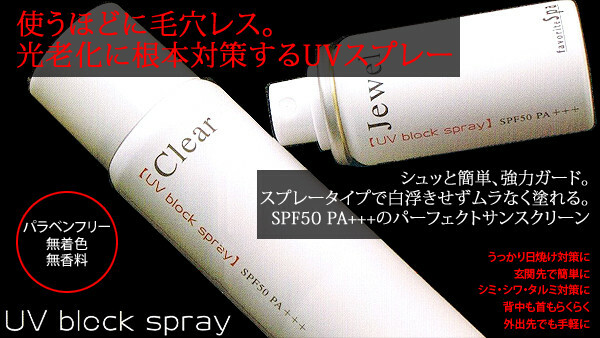 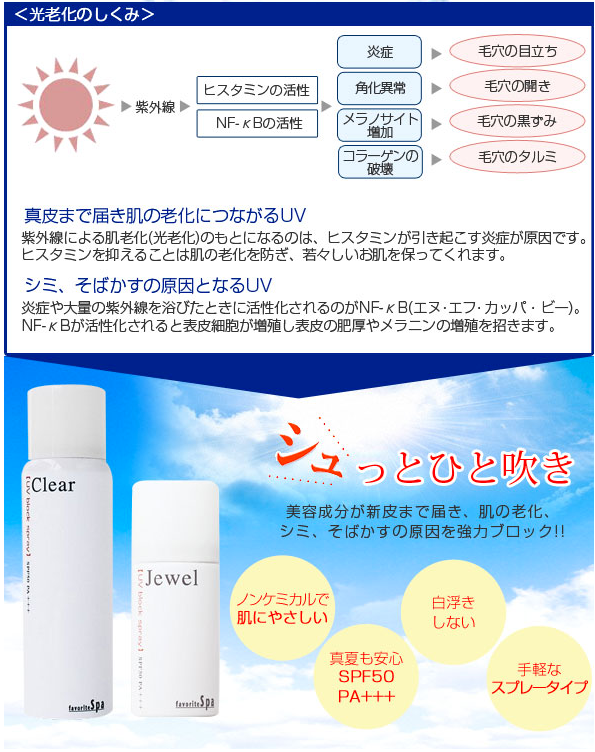 UV Block Spray "Clear" & "Jewel"
Thoroughly protecting the skin with ultrafine titanium oxide from UV rays. 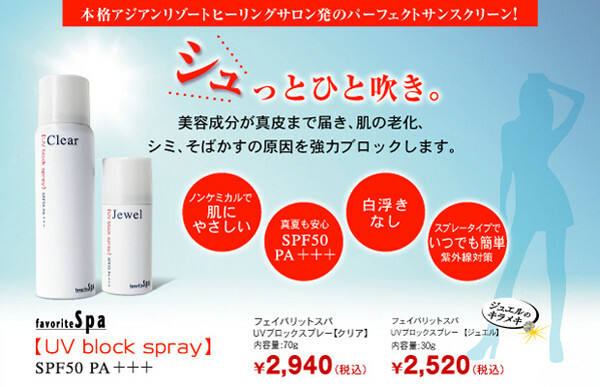 A smooth use with a spray type. 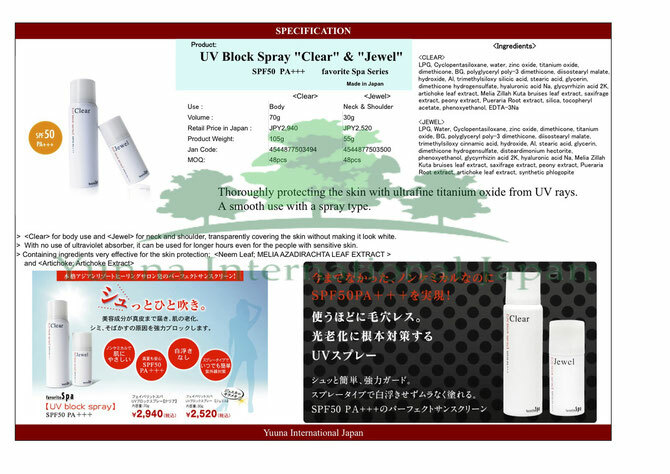 covering the skin without making it look white.